It is absolutely ridiculous to have to have “permission” to garden upon your own land, but we shall leave that for another day. In the meantime, the couple in Drummond Quebec have proven that organized action can bring about results and small victories. ED: Here is the piece I posted last month on this matter. The good news is that the garden stands. It's staying, thanks to a 30,000-signature petition, media attention and much grousing from sensible people. 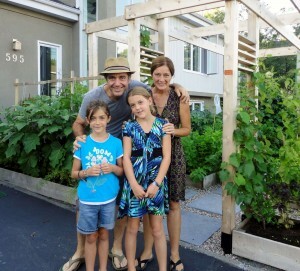 City council members even invited its creators, Josée Landry and Michel Beauchamp, to help shape the city's new guidelines for urban food gardens. 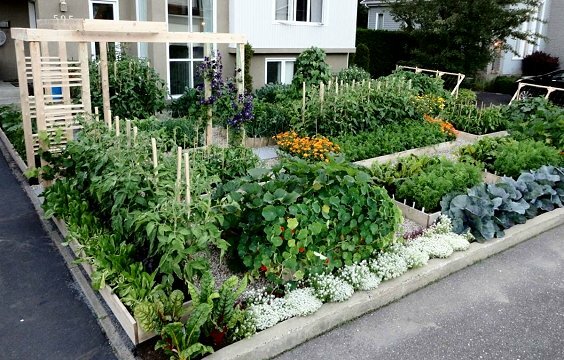 "It will now be allowed to Drummondville this type of garden in the front yard." Speak up, speak often, speak clearly.